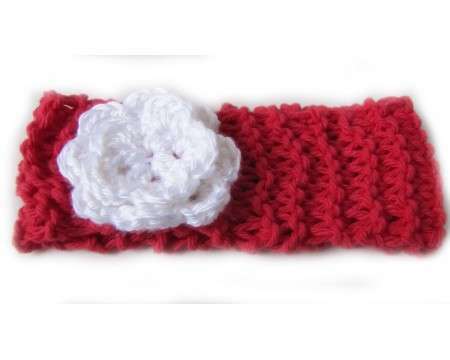 Home » KSS Handmade Other Clothing Items 0- - 6 Years » KSS Handmade Headbands and Crowns » KSS Earwarmer Headbands with Flower Decorations » KSS Red Knitted Cotton Headband White Flower 12-14"
KSS Red Knitted Cotton Headband White Flower 12-14"
This stretchy handmade red cotton headband measures 12-14" around and 2" wide. The white colored flower in acrylic measures 2.5" across. Fits a baby 0-6 months old.